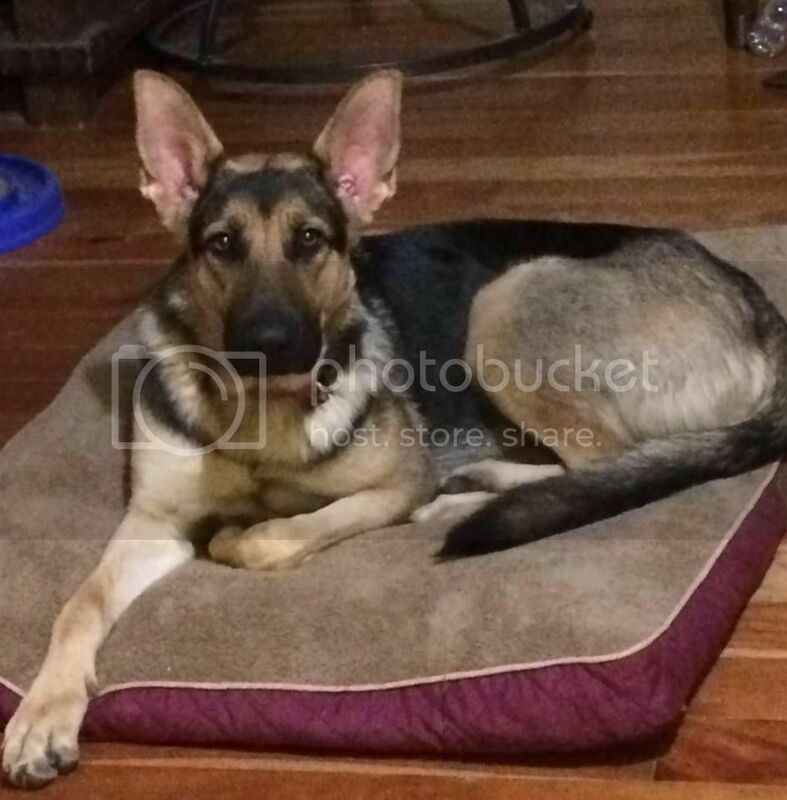 Hi all, new here as this Saturday my 2.5 year old German Shepherd Ginger and I were planning a hike and later the same day had an amputation surgery scheduled for tomorrow thanks to an accident, what kind I don’t know for sure, I’m guessing hit by a car. I was on a 5k run, left with her in the house, got a call from a neighbor while I was on my way back to find her on side of our little dirt road, and life changed shortly after as I sat in bathroom in vets office sniffling and imagining my dog without her leg. Already know I am struggling harder with it than she is. Alternating between those positive coping thoughts like “it could have been worse, death, spine, etc – she’s young, strong, will live a fairly normal life”, to “forget that I want to be anxious, sad, cling to my dog, find that miracle cure for a shattered front leg, shell out the thousands of dollars for plates, screws, etc that will still ultimately probably not work”, I imagine this is a typical reaction. I am generally confident in my vet, who has also identified herself as a tripawd owner. We live in a small town so second opinions not that easy to come by and they make it sound pretty cut and dried (no pun intended). Looking at the xrays, though not a veterinarian I can see why it probably needs to be done. Vet did the orthopedic surgeon consult which resulted in “5,000 to start and no guarantees”, nasty words like splintering, crushed, etc. Part of me wonders if I should call the surgeon myself, the other says “trust your vet it’s not like they’re out to take a leg just for the heck of it”. Anyway a brief intro as I know I will be spending lots of time here as I try to get my head wrapped around the path ahead. So much confusion and anxiety still, I stumbled across the post of keeping partial leg vs the full removal, I want weeks to research this not less than 24 hours with a work day sandwiched in, but my quick read was that this is more geared towards if you might want to consider a prosthesis. Just hard to combat that thought of why do they have to take the whole leg when it’s just the lower part? Obviously I will know more about what a vet should do than the entire profession. But the little voice in my head that keeps pushing me to try other things I suspect is just desperate. First order of business I suppose is getting that bed ordered today so it can be here when she returns home Friday. So anyway hello all from Ginger and I, that’s her in my profile pic. Hi Ginger and family, welcome. I hope you don’t mind I moved your post here, but this is a good place to discuss the challenges of a situation like yours. I’m so sorry about the accident! What a terrible shock and I know you must be reeling. Nobody ever expects or wants to join our community but we’re glad you found us. First, I can tell you that as a German Shepherd mom myself, this breed is pretty darn resilient. They bounce back quickly and with a young dog like Ginger your biggest challenge will be keeping her calm during recovery. With that front leg gone she’ll need some extra precautions over the long haul to avoid stress and injuries, so I highly recommend perusing through Jerry’s Required Reading List and our Tripawds e-books to learn all the best tips about life on three legs. 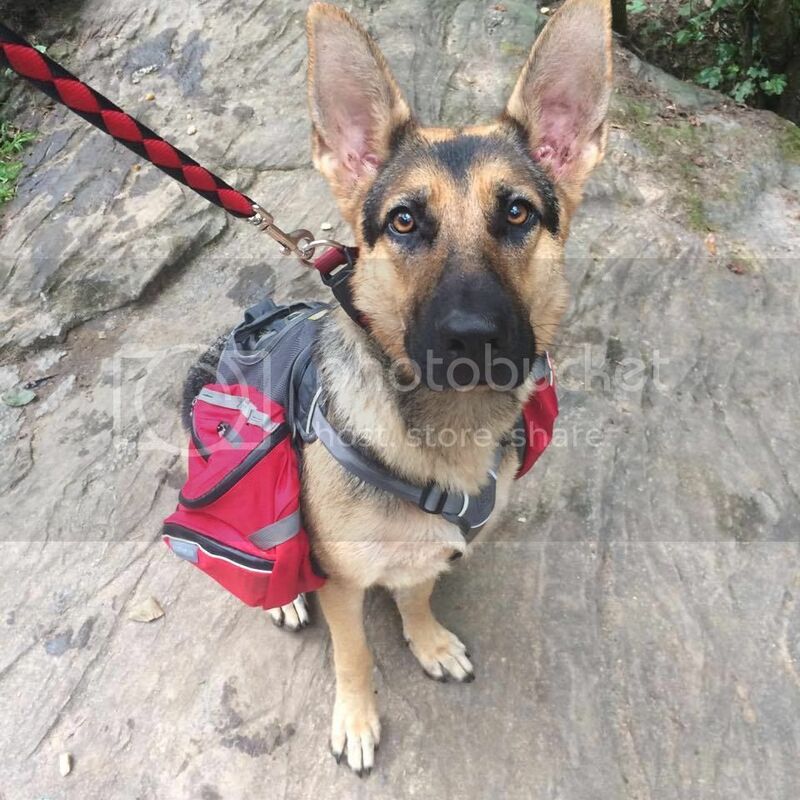 Our Tripawds Gear and Tripawds Nutrition blogs also have great tips too. I’m glad to hear your vet also has a Tripawd! That’s good because she already understands the challenges of having one in the family. It’s not all hard work and worry but there are things to consider in order to make sure Ginger lives a long and healthy life. Don’t worry too much about that now. Focus on preparing your home (no slip rugs and traction will be her best friend) and doing things like raising her food bowls and ensuring she is able to safely navigate stairs and any kind of furniture if she like jumping on it. Our amazing community will have more tips in just a bit so stay tuned OK? Let us know whatever questions you have and we’ll do what we can to help you through the recovery, which is the toughest part. Stay strong like Ginger! She’s a beauty, by the way. I’m sorry to hear about Ginger’s accident. My dog had his front leg amputated (sarcoma cancer) 18 days ago. What helped us was putting a t-shirt on him after the surgery so he didn’t have to wear a cone. This also helped my daughters cope better because they didn’t have to look at the surgical site constantly. Having throw rugs on the bare floors really helped as well. I’m sure my dog enjoyed me laying on the floor for 2 weeks too (lol). I bought a Ruffwear harness from this site and he started wearing it after his sutures were removed. The best help though comes from the support from the Tripawds community. They helped me in so many ways and I am grateful. Best of luck to you and Ginger. Keep us posted. We are here for you the whole way! Gosh, so sorry you find yourself here! Just want to throw out a couple of quick things to add to the great advice you have from the others. Sooooo often we see dogs come here for amputation after multiple surgeries, infections, confinements, pain, expense, etc trying to “save” a leg. That doesn’t mean that would be the case with Ginger, but it certaiw is possible. The amputation surgery is a one time deal, a rough recovery for avout two weeks, then the sparkle comes back and dogs like Ginger get in with living life to the fullest! Also, almost all Vets amputate the full leg. To leave a stump offen leads to injuring the stump, infections, sores, etc. And ues, if it wpuld give you reassurance, certainly speak to the Surgeon directly. Make a list of questions beforehand and get them all answered. When is the surgery scheduled? We understand this is scary and you sre emotionally drained! And to come in so suddenly and no time for research and prep…yeah…stinks! We are here with you the whole way!! YOU ARE NOT ALONE, OKAY? Stay connected and update when you can! And in addition to that great bed for Ginger, stock some CHOCOLATE for yourself! It helps! Thank you all for the warm welcome, in the midst of dealing with Ginger I’m also learning the forum, just signed up for photobucket, and intend to keep a blog of her progress. Good distraction with a dose of therapy if nothing else. Appreciate the tips and support given thus far. Am already amazed at the number of tripod pet parents I have seen here which is reassuring, whether the loss is cancer or accidental I can see similar paths. My motto for today was the one I read on a post this morning about “Be More Dog ” or something like that as I work to cope with the change. It helped :). Up until now I had hoped she would fill out some, no matter how much I feed her she’s the long and lean type, and now that’s a good thing to not have to worry about the weight. And you’re right, the fact that she is lean will be a tremendous help as a Tripawd. ‘Be More Dog ‘ is pretty much the community motto. The fact it struck such a chord with you says masses about what a great job you are doing in terms of processing this emotionally. Three days ago you were planning a hike. Now all of a sudden you are dealing with this. And look how far you have come in three days! Seriously impressive. Stay connected. Looking forward to sharing your journey and getting to know you and Ginger better. OMG … she’s stunning!!! Look at those amazing ears! I’m so sorry you’ve found yourself here but you will find the best support in the world from this community. I lost my girl to cancer but she was a rear amp about 25 pounds. She was older but fiesty and did great on three! 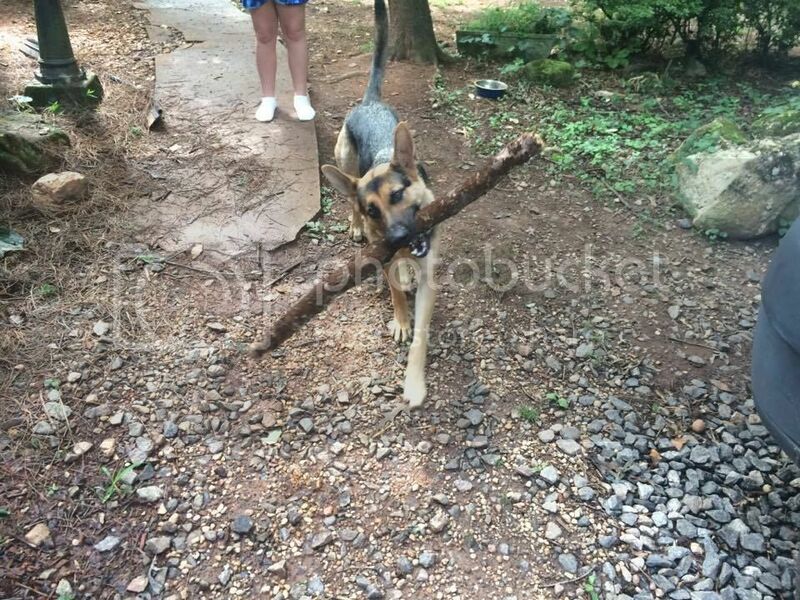 I have had the great opportunity to meet a couple German Shepards that are tripawds and I can say – they do amazing! We are all here all the time basically so post away and people will chime in. Recovery “can” be tough but not always. Some days sail through but know there will be ups and downs as you settle into your new reality. I know this is tough emotionally … but follow Ginger’s lead. She just wants to be loved and give love and that will guide you in the days and weeks to come! Oh oh oh I’m in love! I’m so glad you found the Be More Dog post to be helpful. As you’ve read, it’s all about quality of life when it comes to this disease. The more you can make the most of every day, the better. I see Ginger already has a Webmaster. Minus the backpack, you’re all set! Good luck with the surgery, I hope all goes well!! Your assessment as to keeping a blog is actually my thinking exactly. “Good distraction with a dose of therapy” is exactly what it is. I found that writing a blog and dealing with everything in written form AND adding a million pictures is VERY therapeutic for me. I’m looking forward to your blog!! To a very speedy recovery! Thank you all, she is gorgeous isn’t she? In addition to health her appearance was probably a selfish part of reasoning for wanting to keep that leg in addition to having counted on her as a long time hiking companion (which I know she may still be but more to take into consideration now). Now I can hear oh wow she’s gorgeous, followed by a oh wow she has 3 legs and she’s not going to care what she looks like as much as her abilities to play fetch. Told her in car this morning she was going to rock this tripaw thing and shine brighter than ever as she will still be just as gorgeous and just as loved with 3 legs. Off to add day 2 on the blog, give my poor friends and coworkers a break from ongoing pet saga. Describe how miserable I felt this morning, how I bawled in the vets office, share the last of the 4 leg pix, etc. I’ll work on adding links and descriptions and all to my profile when I settle in with her this weekend. See you all later, going to try to focus on actually doing some work… which really means I’ll probably be sitting here at my desk browsing this site and amazon looking for what I need to buy to prep for her return, sort between what is 2 day shipping necessity and what is for pampered pup (meaning she’ll get it just a little later 🙂 ) Thanks again to all the wonderful people on this site I’ve met so far and your supportiveness and compassion for my furbaby and her mom. Alrighty, Gi ger is going to get that bum leg and that pain removed! A other thing we say around here is yuu are doing this FOR Ginger, not TO her!! And she really is a gorgeous gal! And you know what? She will even be more gorgeous and her cuteness factor will be off the charts!! Pretty sire youvew already read about non slip scatter rugs for traction if you have hardwoods. Some use yoga mats too. Raised food bowls help relieve strain. Yiu may, or may, or may not, have to use a towel sling to help her get up for a few days. My Happy Hannah would just feeze if I tried that, but some dogs are more accepting. Lots and lots of yummy treats…for Ginger and get some for you too!! Thinking of you and Ginger today! Hang in there – once she gets through recovery, she will amaze you! Just my 2¢ on blogs and forums (and this from someone who never could figure out a blog!). Sometimes the blogs go up and down really fast. The forums tend to get more exposure for that reason. Sooooo….I would keep both! You may want to use the forums for day to day updates and questions, as you can pretty much get immediate feedback. Then use the blogs in addition as a way to chronicle Ginger’s journey as you achieve milestones and celebrate all jer victories. One of our members, Fionn, did a daily blog for a while during recovery and it was quite helpful for new members. Now she posts in the forums as well and highlights a link in the post to her blog when she updates it. “Necessary”? No, but most members frequent the forums much more than browsing the blogs. You blog is a great way to document progress and consolidate information about your story. Forum topics are a great way to share your story and engage with others offering relative feedback. The best option is to do both, but here’s a tip. Start one topic in the Share Your Story forum and reply to it with a link to your latest blog post whenever you publish a new update. there is no need to start a new topic every time you publish a new post…unless you want to discuss the subject in more detail than you care to manage via your blog comments. Great question. Hope this helps!